Bethesda has to be one of the most beautiful places in Savannah to get married. 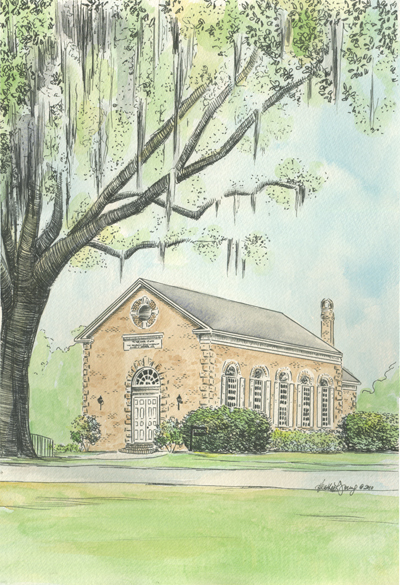 The Whitefield Chapel is nestled under giant mossy live oaks, and the entire property is quite close to the water. It’s no wonder celebrities like Paula Deen and Mandy Moore have decided to say their vows here. 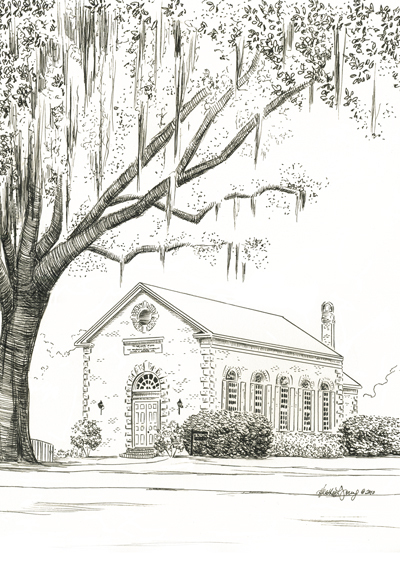 A sweet couple from Alabama commissioned me to do the sketch for their wedding invitations, and I’m quite thrilled with the outcome. 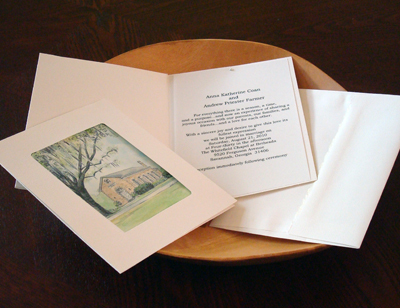 Their guests will receive an archival quality print that can saved forever by simply putting it in a 5×7 frame. Vellum inserts on the interior are attached with the daintiest of brads…(no ribbons and bows for this bride!) Of course I also drew up some custom response cards to coordinate. 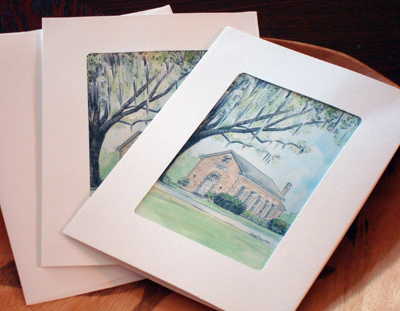 A Hand Water-colored Print of Bethesda will be available for purchase in my shop shortly. Until then, feel free to email me at heather@flyoungstudio.com.